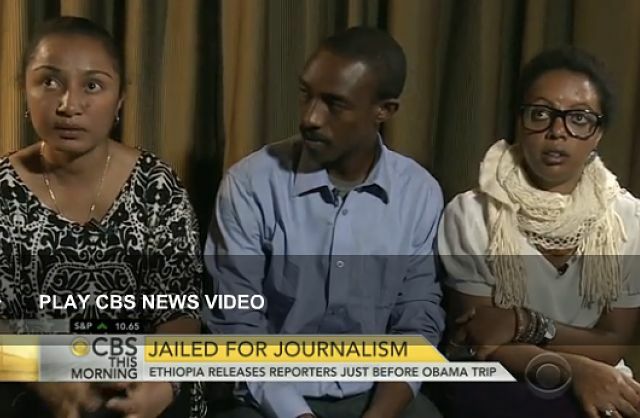 The three Ethiopian journalists were released from prison three weeks ago, ahead of President Obama’s visit to the African nation. They are just some of the victims who dared to criticize their government and went to prison for it, reports CBS News chief White House correspondent Major Garrett. “I was in prison for four years and 17 days,” Reeyot Alemu said. “For one year, two months and 14 days,” Zelalem Kibret said. “One year, two months and 15 days,” Edom Kassaye said.